There were 696 press releases posted in the last 24 hours and 153,596 in the last 365 days. Located amid a serene country setting in beautiful Limburg County, Netherlands, Brock Clermont trains horses and riders to be the very best. At Clermark Equestrian, Brock Clermont specializes in purchasing and training the very best horses in the world, along with their riders. They eventually go on to compete for a jumper, equitation, and hunter competition in “A” circuit and International competition. Brock Clermont's decades-long career in riding started at his family’s stable in Ontario. When Brock Clermont was just 17, he trained under Canadian veteran Hugh Graham and later went on to tutor under the great Canadian Olympic rider John Pearce at Forest View farms. Going professional at the age of 18, Brock Clermont became an assistant pro at Forest View Farms, training the horses and teaching the clients for nearly half a decade. Brock continued his training with renowned coach George Morris while traveling to Europe where he rode for Paul Schockomoele stables and later took a high-level position through world champion rider Peter Pletcher in Texas for a year. In 2007 Brock Clermont and his family decided to purchase and design Clermark Equestrian LLP in Bradenton, Florida. A lifelong dream, as head trainer and general manager Brock helped Clermark Equestrian LLP become the finest facility in the area through which hundreds of students and clients were trained and showed competitively throughout the United States under Brock and his staff. In 2013 Brock Clermont began coaching the internationally acclaimed Olympic rider, Liubov Kochetova. 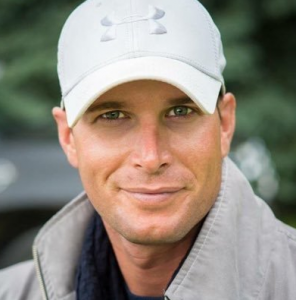 In 2014, after competing extensively in the Wellington Florida winter circuit, Clermark Equestrian LLP moved its operations to Wellington for the winter season and Guelph, Ontario, Canada for the summer to accommodate Brock and his current training and business schedule with his horses and clients. Brock Clermont has trained hundreds of riders young and old, from the beginner level to the pros and the ranks to their desired goals and further over the years since turning professional at 18. His unbridled passion and desire to take care of each horse and trainer alike, Brock Clermont is on a mission to help everyone around him become the very best rider they can be. To learn more about Brock Clermont and the legacy he continues to build, connect with him by clicking here.